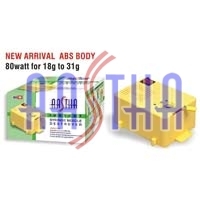 We are engaged in the manufacturing and supplying of Syringe Needle Destroyer. Syringe Needle Destroyer is used to destroy disposable needles and to cut the syringe nozzle easily; this prevents infections and grave diseases like HIV etc. to spread. 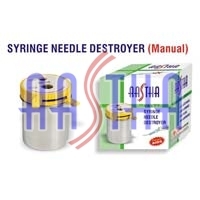 Range of Syringe Needle Destroyer is available at industry leading prices and can be customized as per client's requirements. To prevent infections, illnesses and incurable diseases, the syringes are destroyed using Syringe Needle Destroyer. The Syringe Needle Destroyer, we offer are effective, clinically certified and available at competitive prices.